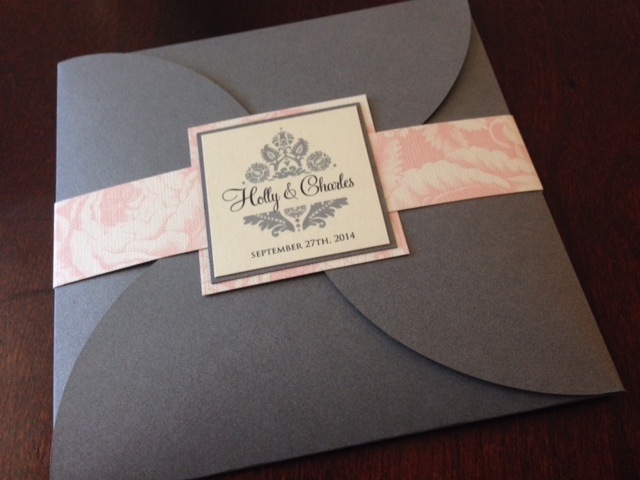 I'm trying to determine what I want to do with invitations. 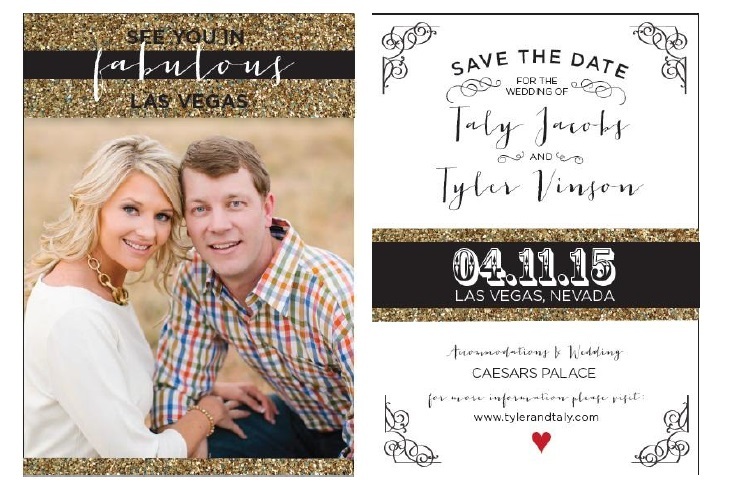 Did you guys do a Vegas theme, or something more generic? Can you post pics and where you got them? I'm sure I'm not the only one who'd like to see this! 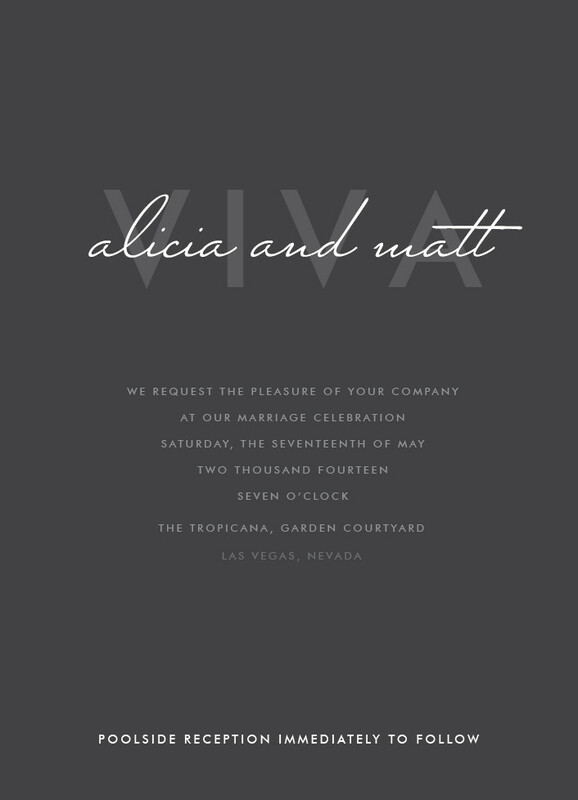 We ordered these from Zazzle, we were really happy with them and they didn't take very long to ship. We had our dream wedding at Mirage on May 3, 2014! 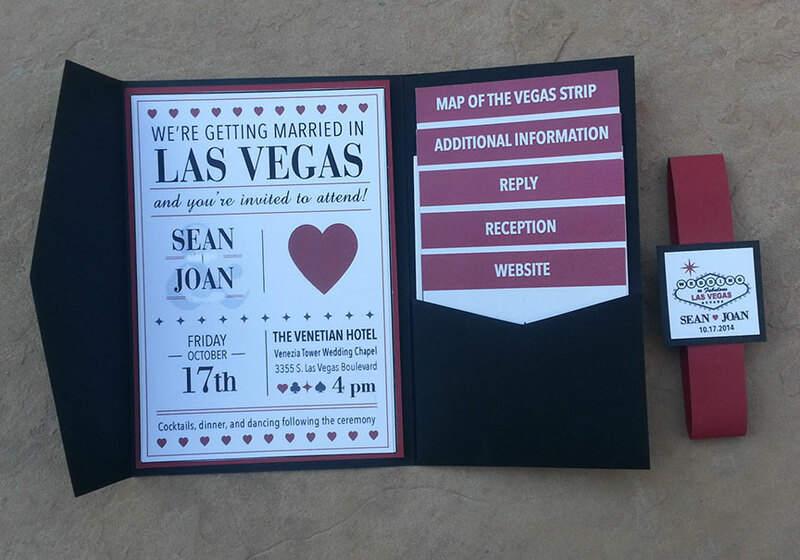 I ordered off of etsy I didn't want something too vegas-y but since my wedding dress was a typical princess ball gown I thought these invites went good with it. I designed our STD and printed them online from cmykonline.com.au. It was SUPER CHEAP. We didn't want anything too Vegasy, but still represent Vegas. 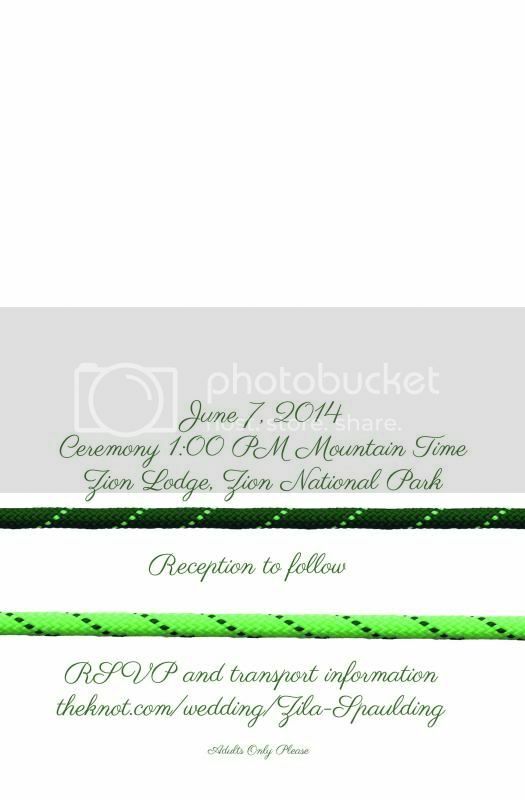 We were originally going to do invitations, but then thought we'd save the $$ and tell everyone to subscribe to the website for updates, so I added our website address underneath the venue. Here's ours. 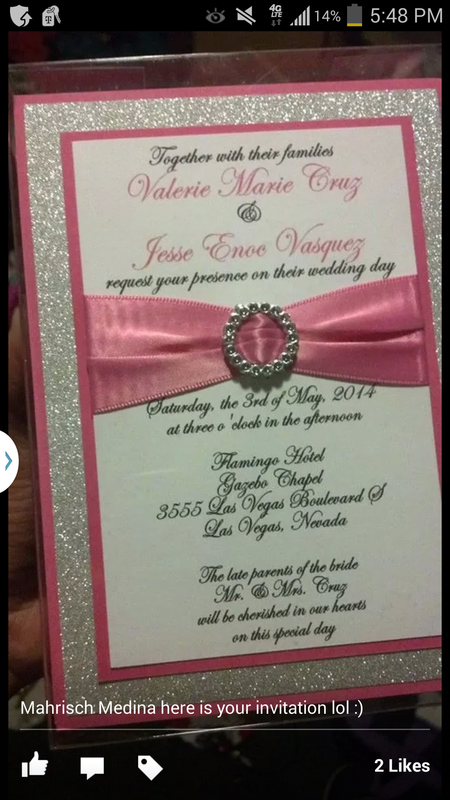 The actual invite has our names in yellow, but I couldn't find the proof. 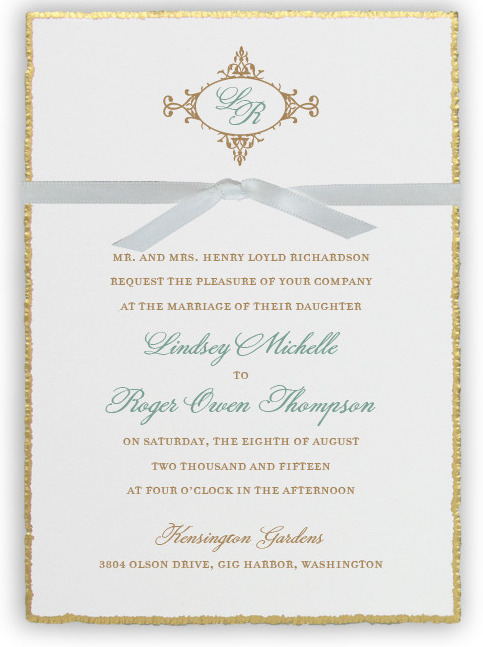 We got it through Minted... I loved them! Here's ours! We went for casual fun Vegas. 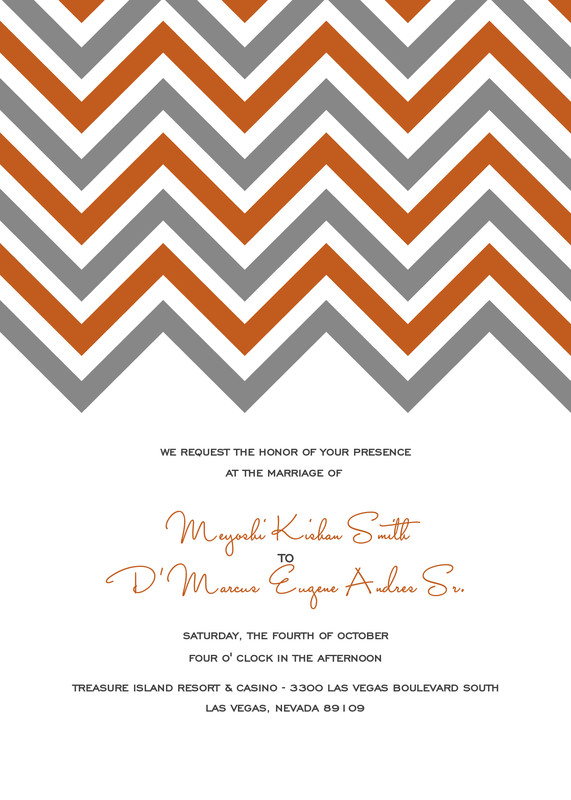 Here's my wedding invite...didn't incorporate the Vegas theme but used my Chevron pattern. 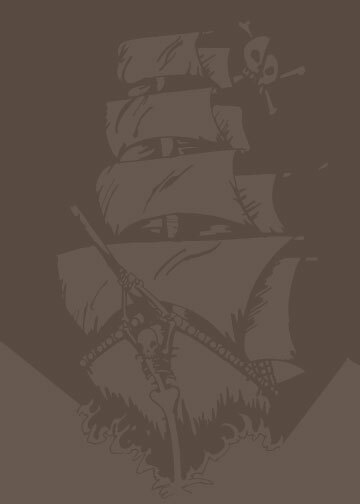 I designed my own and will get them printed at a local print shop. 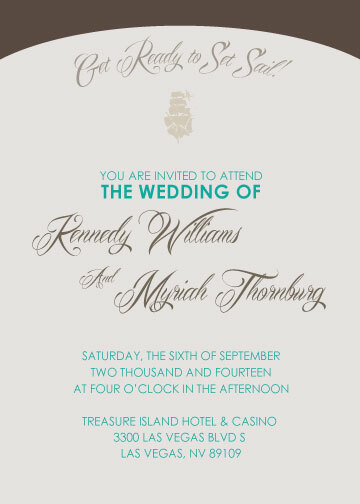 We are getting married at Treasure Island so I designed them with a subtle pirate theme! LouiseW17, where did you find that template. I love it! 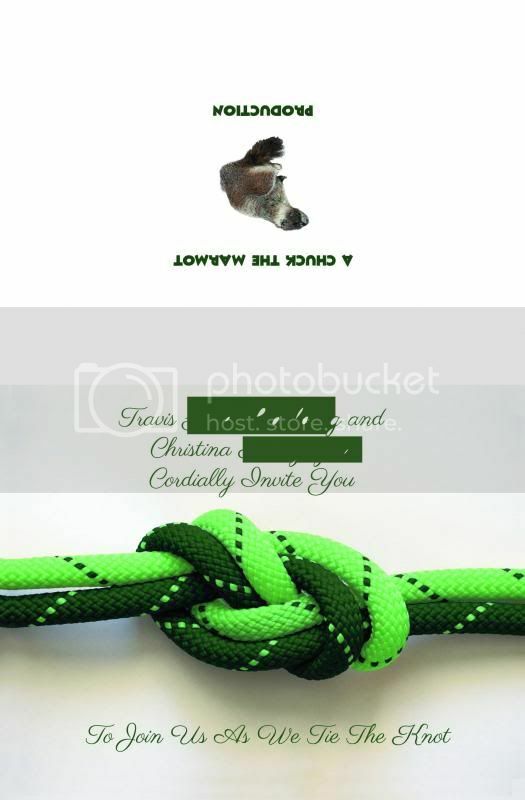 I decided to make our Save The Dates as well as the invitations. We won't be sending these out for another 6 weeks or more but this is the mockup of what I'm working on so far. Where did you find the templete for that? Thanks! It's not a template. I'm a writer/designer so I created the layouts. 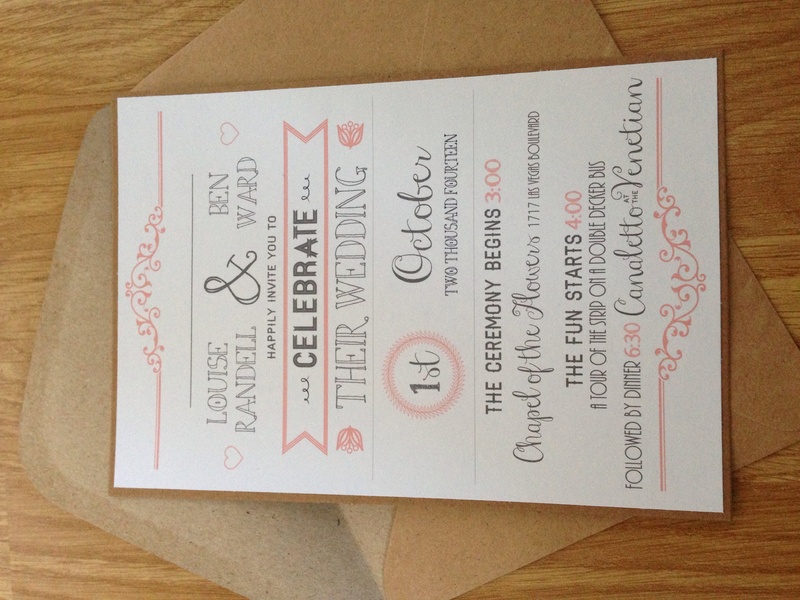 I cruised etsy and some of the bigger invitation sites for inspiration but I came up with the final design myself. It's been a lot of work but also lots of fun. 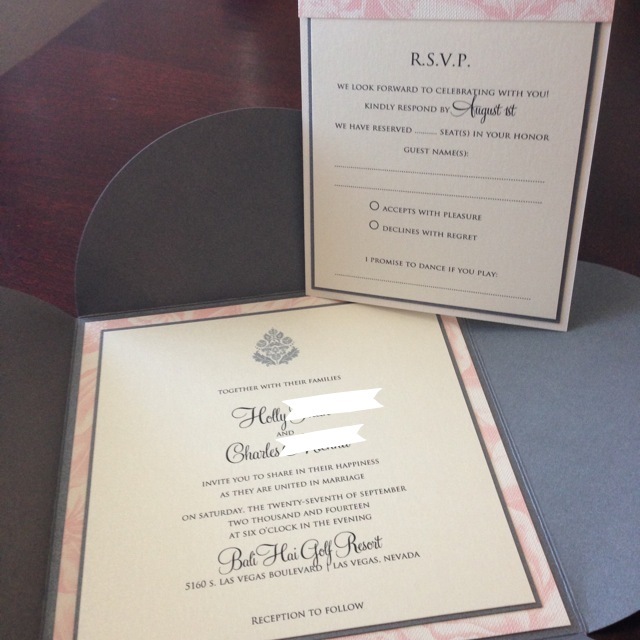 My FI even gave me feedback, which was awesome, because when we first started looking at invitations he said he didn't really have any thoughts; whatever I wanted was fine. It was cool to see him get excited about these and start throwing ideas out there! OK, I just have to share the little map I did, too. I sent several messages to etsy sellers early in the process about creating one for me but I didn't get any responses so I just decided I would try my hand at making my own "cute" one. 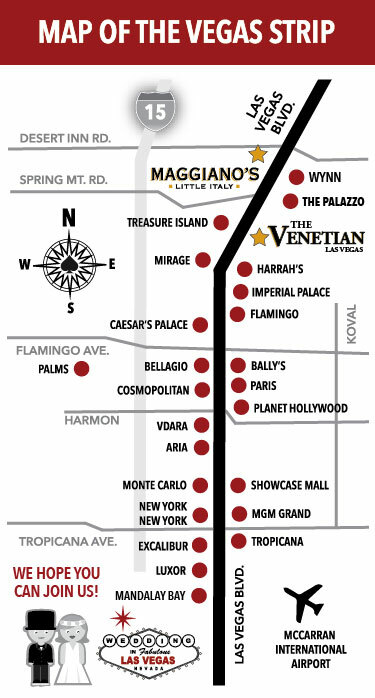 I didn't want just a Google maps graphic but I still wanted to make it clear to people where the wedding and reception would be in terms of The Strip locations. 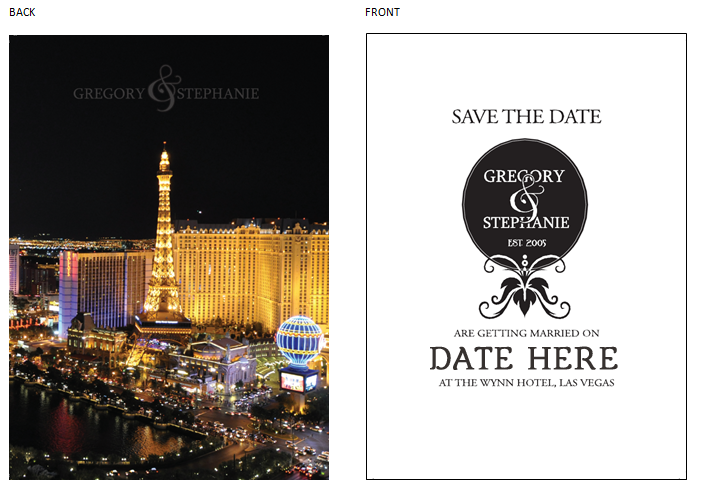 These will go in the invitation pocket and we'll probably put it on the website once that's done. My FI is a web developer so he's working on that part for us! 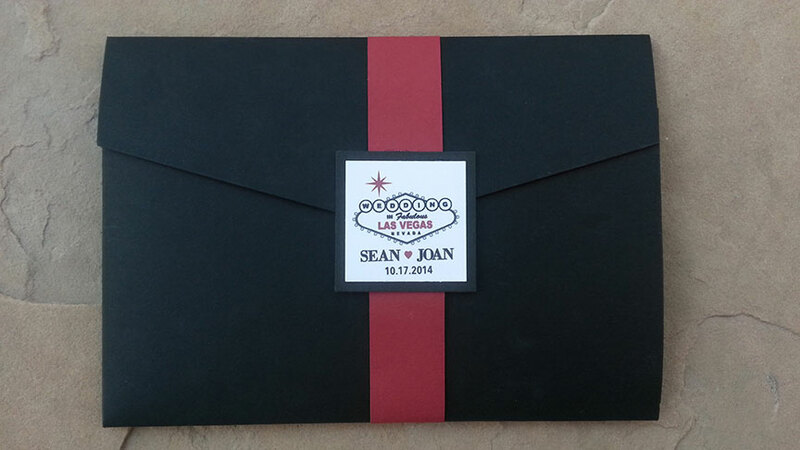 We did not use a Vegas theme for the invites. 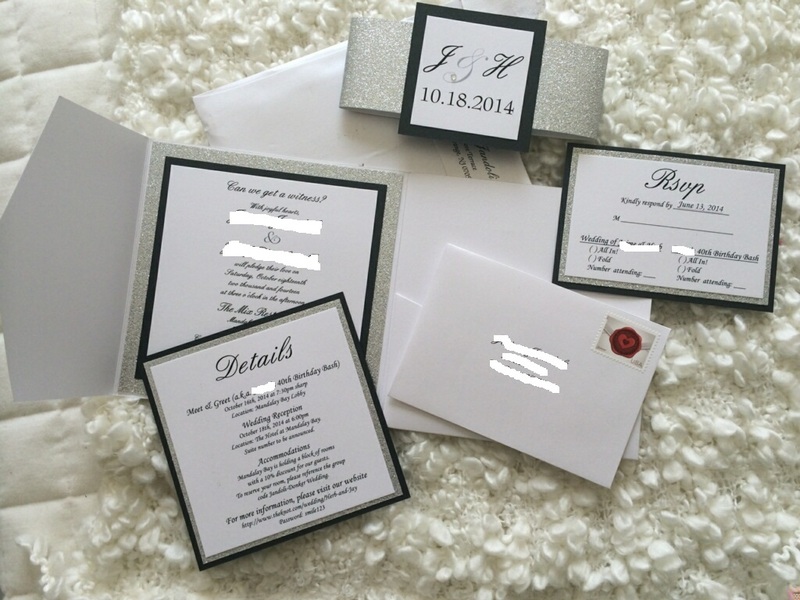 We ordered from Wedding Paper Divas- here is the sample invitation that we ordered. @dbacksgirl- ; the map is awesome! I'm going to have to do something like that too. Thanks for sharing. Love this! So creative and would be really helpful to have! If you ever become an Etsy seller of these let me know! We did plane tickets... This is the sample from online, we selected a darker blue. @dbacksgirl‌ - would you be interested in selling these? I really LOVE both your invites and map! I would love to have you make for mine. @jayjaay - I LOVE those. Did you make them? 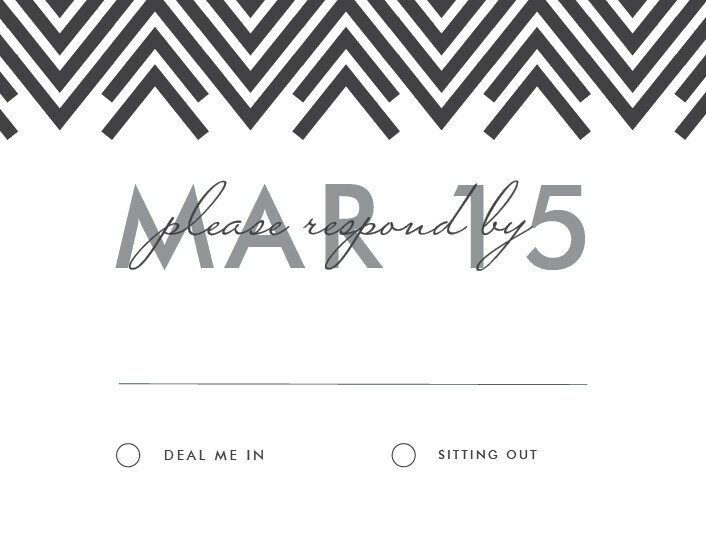 Don't have invites yet but here are our save the dates! I love them! @TXlush - love your STDs!